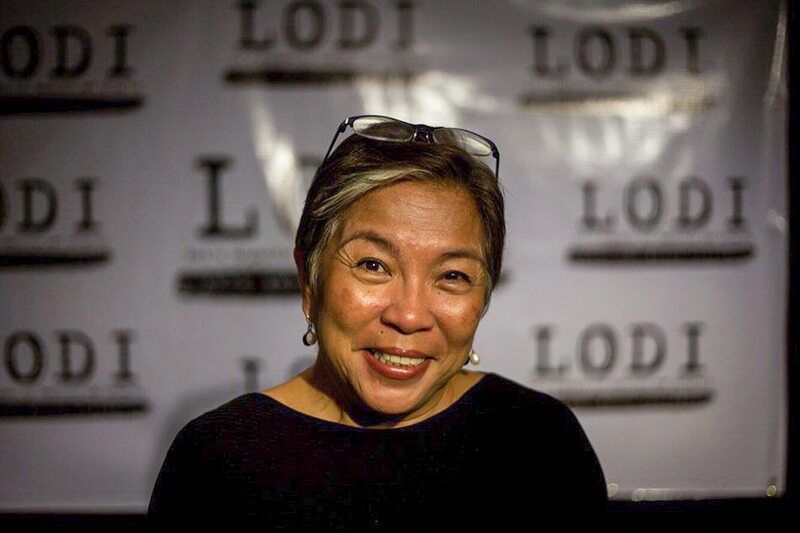 MANILA - Filipino journalist Inday Espina-Varona is included in the shortlist for international organization Reporters Without Borders' (RSF) Press Freedom Awards. Varona is a contender for the Prize for Independence, which recognizes journalists, media or NGOs for "resisting pressure (including financial, political, economic or religious pressure) or because of the values and rules that enable them to resist." Other finalists in this category include Ghanian undercover reporter Anas Aremeyaw Anas, Péter Pető of Hungarian news website 24.hu, and Pakistani journalist Taha Siddiqui. Varona said her nomination is "humbling and an inspiration to do more for the cause of press freedom." "Filipino writers and journalists have a proud legacy to fall back on. Generations fought for press freedom and freedom of expression, from colonial times and, certainly, during the Marcos dictatorship. We must never take for granted what so many who went before us fought for and even died for," she said in a statement. "In defense of this constitutional right, journalists and news outfits, and critical netizens, have received grief — and not just from the Duterte administration," she added. "I am proud of colleagues who stand firm despite attacks and even more proud because many of the stories that sparked vilification from government have stood the test of time. Padayon!" Her profile describes Varona as a veteran who is "very active on social networks." She is recognized for her work as a contributing editor at ABS-CBN, where she previously headed citizen journalism unit, Bayan Mo i-Patrol Mo (BMPM). "Over the years, she has reported extensively on issues that are sensitive in the Philippines, such as child prostitution, violence against women, LGBT issues and the Moro Islamic Liberation Front on the island of Mindanao," the press release on the nominees reads. She was also acknowledged as one of the founders of #BabaeAko (“Me, a woman” in Tagalog), a social media campaign that "informs and mobilizes the public on women’s rights issues in response to Duterte’s many misogynistic comments and attacks on women." The women behind this campaign were also recognized by TIME Magazine as some of the world's most influential online, alongside Korean pop idols BTS, social media star Kylie Jenner, among others. Reporters Without Borders also cited the nominees for courage and impact. Nominees for the Courage prize include Paolo Borrometi, who reported on the Sicilian mafia and survived threats to his personal safety thereafter; Indian freelance journalist Swati Chaturvedi, who has been the target of vicious online harassment campaigns; Turkish investigative business and political reporter Çiğdem Toker; and outspoken Moroccan Hamid el Mahdaoui, who has since been detained for "failing to report a threat to internal state security” to the authorities. The Prize for Impact is a race among investigative journalist and software engineer Matthew Caruana Galizia, who co-founded the Data and Research Unit of the International Consortium of Investigative Journalists (ICIJ); the The Centre for Communication and Information for Women of Mexico, which produces and publishes reports on the status of women in Mexican society, including cases of violence against women journalists; Khaled el Balshy of Egypt, who has launched or helped to launch petitions protesting the detention of journalists and laws placing restrictions on the media; and Afsar Sadiq Vali from Afghanistan’s Khost province who runs a radio station focused on women, including stories on women’s rights amid threats from village chiefs and the Taliban. The awards ceremony will take place on November 8 in the Getty Images Gallery in London’s Fitzrovia. It will be presented by Lindsey Hilsum, Channel 4 News’ chief international correspondent. Reporters Without Borders previously gave awards to late Chinese dissident Liu Xiaobo, imprisoned Saudi blogger Raif Badawi, courageous Syrian journalist Zaina Erhaim, and embattled Turkish newspaper Cumhuriyet.